Hudson were battling the blaze which destroyed the house. 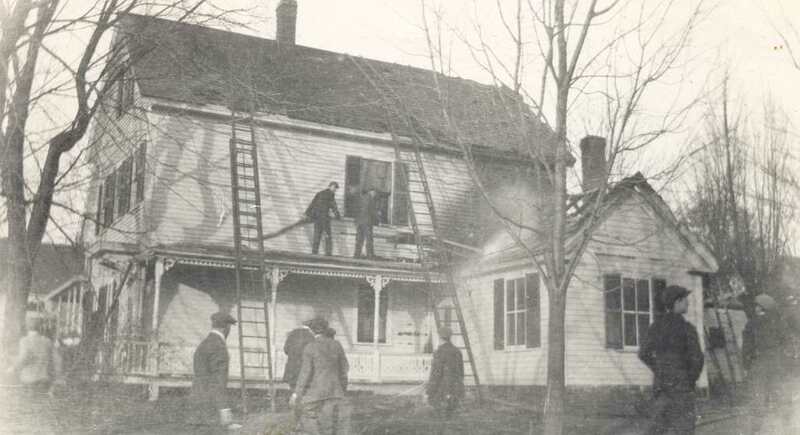 We see the men on the porch roof with hoses in an attempt to contain the fire. These houses were the home of the Bassett/Johnson family from about 1890 until the mid 1970’s. The first Indian Head bank building in Hudson which opened in November 1965 was to the right of this home. By the mid 1970’s the bank had expansion plans and this property was purchased, the building razed, and the enlarged bank building constructed by 1976. 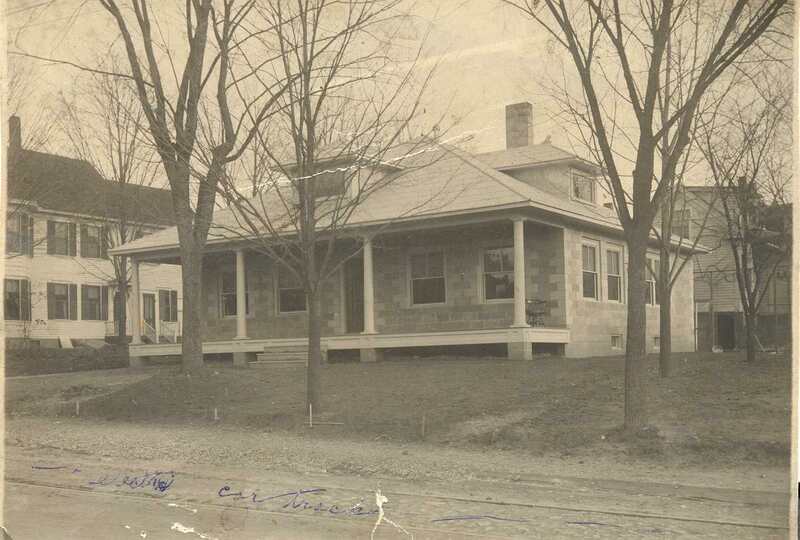 The original bank building was moved to the corner of Ferry and Library Streets and is now in use by the Hudson Fire Department. Almeda (Bassett) Johnson was a Hudson native. She married Charles Harold Johnson of Portsmouth in 1925. They spent most, if not all of their married life in the bungalow on 15 Ferry Street. He worked as a foreman in Nashua. Almeda was active in the Community Church, women’s organizations, and in the mid to late 1950 was the proprietor of Wee Wisdom Kindergarten which she operated from her home. Almeda’s father, Joseph Bassett was a painter of high end carriages and automobiles. By Ruth M Parker in Bridge Area, Ferry on June 5, 2015 .